We specialise in high quality and environmentally friendly composite decking, cladding and fencing. These wood plastic composite (WPC) materials will not rot, warp or split, and are slip-resistant and anti-splinter. EnviroBuild is the UK’s leading builders' merchant for sustainable building materials. We apply the latest technological innovations to provide highly engineered and lasting solutions over traditional construction material. We make the sustainable choice easy for you by giving you the perfect combination of quality & sustainability. We are dedicated to quality. The products we supply are engineered to the highest standard, offering innovative and well designed solutions. In addition, we have ensured they are fully backed up with long manufacturer backed warranties to ensure you have complete peace of mind. We are truly on an environmental mission; looking to supply products that offer real functional, plus sizeable, benefits over traditional construction materials. To qualify our solutions to these high standards we look to ensure that the materials we sold have: a high recycled content and recyclability level; long working life; plus where possible, the manufacturing process incorporates environmentally beneficial best practices. This gives out products a much lower carbon footprint than their standard alternative. To go a step further, we also donate 10% of our profits to sustainable causes to help become a carbon negative business. Timberia - The Log Cabin Creators... Here at Timberia, we can't wait for another Log Cabin or Log Home challenge, whether it's a storage space, summer house, playroom, gym, office or a 6 Bedroom log house - you name it, we'll do it. We specialize in the log cabin, barrel sauna, gazebo and other outbuildingsdesign, manufacturing, supply, and installation, offering standard designs readily available to choose from for those who are just after some additional indoor space, as well as bespoke log buildings designed to turn your dreams into reality and for those with a bit more specific tastes. Log Building - Turn Key Service is available as standard here at Timberia, so, you do not need to worry about sourcing other trades, such as landscaping, pipework, base/foundation work, plumbing, electrics, as well as bespoke wooden interior designed to your vision. Call us today to discuss your wildest dreams and how we can help you in building that special space. QTD are specialist suppliers & installers of high quality decking, cladding, timber Buildings and much more. We provide a high level of customer service and ensure that our teams share the same high quality and service standards. Put simply, knowing what's important to our clients inspires us to professionally design and build an outdoor space with the best materials that meets and exceeds their expectations. The project could be adding value providing the finishing detail and enhancing a virgin garden space for a new build or re-modelling an existing established garden to provide better functionality, We look forward to discussing your plans without obligation, so look forward to meeting you soon. Woodtrend the hardwood decking, cladding and flooring specialists. Woodtrend supplies, installs, manufactures and maintains hardwood decking, cladding and flooring in the UK. We know our products! Talk to us, feel free to question us; we have the answers. If we don’t stock it, we will make you a bespoke product to suit your design. IQ Outdoor Living is an upcoming brand focusing on providing ways to allow home owners to maximise the use of their outdoor living spaces. Maximising the use of this space can easily be done by integrating high-end furniture and roofing solutions to allow home owners to use the space throughout the year, not just in the summer. Kingfisher Decking is a family driven business and is managed by Rob & Ricky Jones. Started in the late 90s the company has continued to expand year on year to become probably the best known and respected decking company in the south east. Their aim is to provide value for money whilst still maintaining the highest possible standards. Between them they have over 50 years of experience in the construction industry and consequently whatever issues arise during the project, they have the solutions. Ricky, now in his mid twenties keeps the company fresh and forward thinking and is a great believer in using modern technology to run and promote the company. The real difference between Kingfisher Decking and its competitors is their dedication to achieving total customer satisfaction, their motto is: 'we’re only happy when you’re delighted'. Their aim is to make the whole experience from initial consultation to project completion a real pleasure. Outsideology is a specialist designer of beautiful, bespoke garden structures. Whilst renowned for our astronomical observatories, we also design a wide range of garden buildings, tree houses and other structures. Our focus is on quality and longevity above all else: expect rigorous attention to detail, excellence in materials choices and design that prioritises long life and low maintenance. 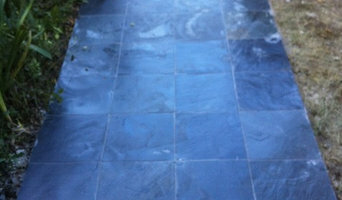 Get your patio or driveway cleaned to perfection with the assistance of the leading pressure washing company in London. Arranging a session with us means you'll get utmost care for your property's hard surfaces at the best possible price. The jet washing services we offer are efficient, reliable and completely tailored to meet everyone's specific needs. Get in touch with us now - we offer 24/7 call support and can perform any service even on weekends and bank holidays. I am Joel, I specialise in bespoke builds to fit your garden space and your lifestyle needs. I am both a carpenter and an artist by trade, my extensive building knowledge arises from a fifteen year invlovment in loft conversions & house renovations. I also recently won the 'shed of the year' contest on channel 4's George Clarkes Amazing Spaces. The Outdoor Deck Company is a specialist in the supply and installation of high quality decking using premium grade timbers from the USA, Europe and UK. The company has over 20 years' experience in the decking market both in the UK and abroad and operates a nationwide service. The Outdoor Deck Company uses high quality FSC and PEFC softwoods, hardwoods and composites for the commercial and high-end domestic sectors. The company provides a supply only or a full design service from initial concept to installation and recommends that, in this case, its expertise is called upon at the earliest stages in the design process. tetra shed® is a new modular building system designed by architecture practice innovation imperative. 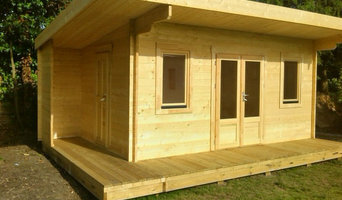 Now available to order at <a rel="nofollow" target="_blank" href="http://tetra-shed.co.uk/configure">http://tetra-shed.co.uk/configure</a> as the following single unit options: - an empty shell - a garden office - a kiosk - a lounge - a meeting room - a wet room Please email us at info@tetra-shed.co.uk if your desired single unit tetra shed® option is not featured on the configurator or for all tetra shed® multi unit applications. Your chosen specialist will run through your options based on your available budget and space, and discuss potential stumbling blocks such as building regulations and planning approval. A shed is typically counted as a temporary structure but every planning authority will vary in its requirements and Uxbridge, Greater London shed builders can help work through this with you. Many summerhouses on the other hand will warrant planning permission due to their size and more permanent nature. 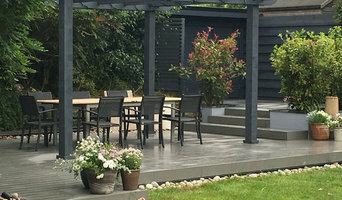 When it comes to patio installation, or decking installation in Uxbridge, Greater London, you will certainly find working with Uxbridge, Greater London decking installers and patio pavers will lighten the workload and ensure your new garden feature offers a great outdoor space for years to come! You may also want to work with a garden design professional to plan your garden space before engaging a patio or decking installation professional in Uxbridge, Greater London. This decision may in the end come down to the space you have available for your garden room. Today, there are many specialist Uxbridge, Greater London shed builders that offer high quality sheds in attractive and colourful designs that can easily be transformed into compact outdoor rooms. At its simplest construction, a garden shed is obviously a very useful storage place, whilst a summerhouse typically works as a real garden showpiece, there as a garden room to be enjoyed come rain or shine. And it can be constructed in almost any style you wish. How about a traditional log cabin or something more contemporary such as an energy-efficient modular design or a Scandinavian summerhouse of interlocking construction? Customise your summerhouse with lighting, heating and even internet connectivity depending on the core use, whether that’s a separate workspace, home gym or sun-bathed hideaway. A summerhouse can look overbearing if it’s more than a quarter of the total size of your garden so, again, check with your specialist to see how big is too big. Patios are a great place to entertain friends and family over a juicy barbecue and bottle of wine on a balmy summer’s evening. A patio looks particularly good at the front of a large garden, teamed with cast iron patio furniture, and can be constructed from a number of different materials such as stone, brick and concrete. Your Uxbridge, Greater London patio designer or patio installation specialist will be able to plan an attractive patio design which can range from a simple regular tiled layout to complex mosaic patterns. Alternatively, hardwood decking is another great way to bridge indoor and outdoor areas, separated by sliding or French doors. If your garden is lower than your home, consider asking your decking installation professionals in Uxbridge, Greater London to raise the deck to the level of the floor so you can step seamlessly outside. And it needn’t be a standard rectangular decking installation either. Go with the flow and add a curved border, accentuated by decking lights. If the kids are making you climb the walls, ask your expert to help you design a low-level play area, painted in bright colours and incorporating a sand pit. No kids? A gazebo or pergola will go well with that timber decking installation – the perfect spot for reading or snoozing. Search in the Find a Pro section of the website for Uxbridge, Greater London patio and decking installers as well as shed builders and summerhouse manufacturers. 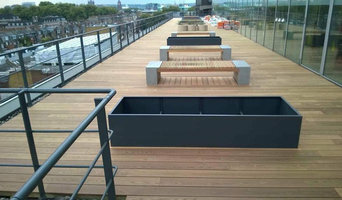 You can also look through Uxbridge, Greater London photos to find examples of decks and patios that you like, then contact the decking installation professionals in Uxbridge, Greater London who worked on them. Or look for photos of summerhouses or sheds that are tagged with the suppliers information.